Should Your Next Industrial Manipulator be Portable? 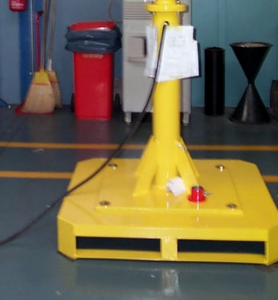 We’re often asked whether it’s worth it to purchase a portable industrial manipulator, vacuum lifter or material handling machine. The answer? It depends on the needs of your facility. If a portable machine fills a clear production need, then these specialized manipulators might be the right fit for your facility. And looking from a cost-savings perspective, being able to move a machine from one station to another instead of purchasing multiple manipulators makes sense. 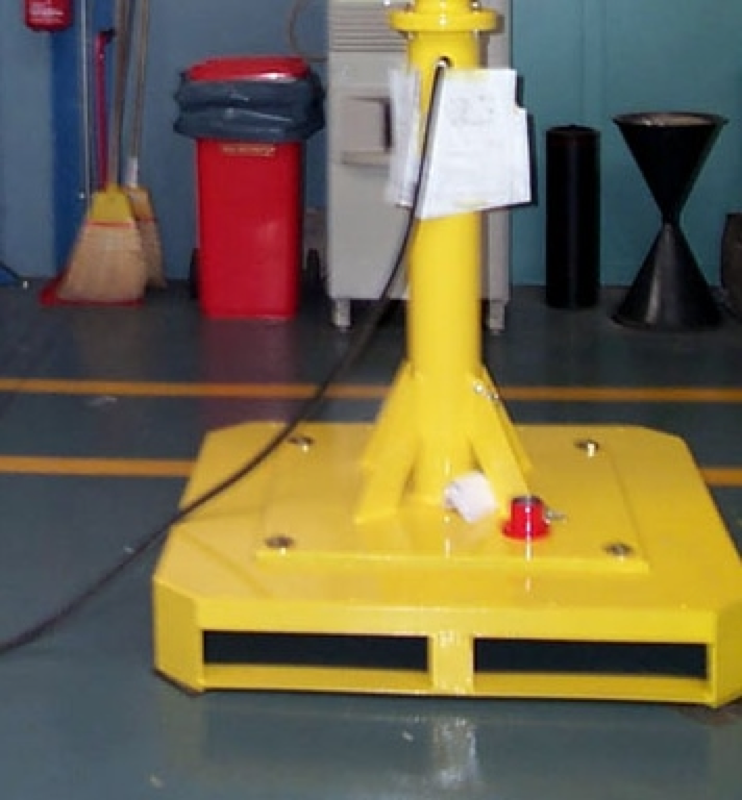 An industrial manipulator can be made portable in a number of ways. Below are the most common methods; take a look at what goes into each to see if one is right for your facility. 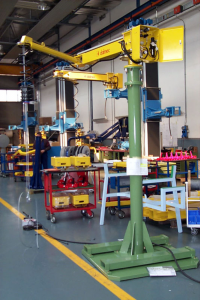 A standard industrial manipulator is usually mounted to the ground by a column using a mounting flange designed specifically for the floor, or is mounted overhead with a column leading up with a flange to mount overhead. Once your manipulator is set in a fixed position like this, it is not considered portable and is only good for use at that one location. 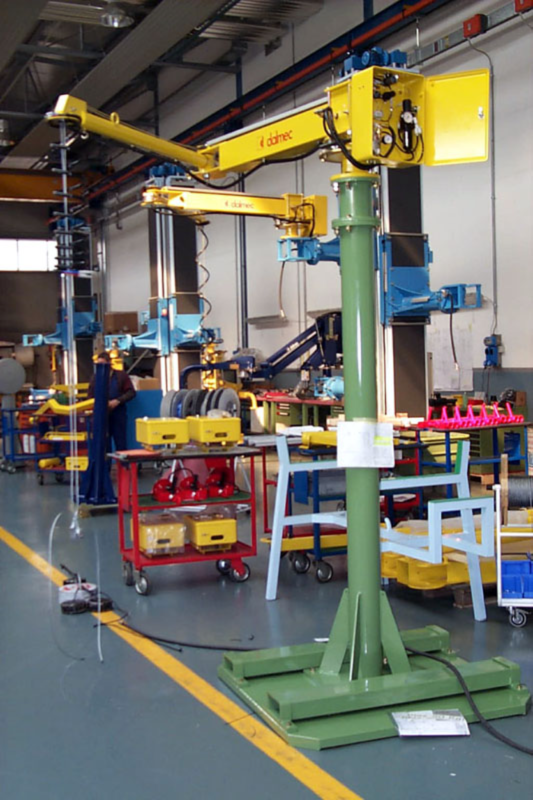 To make your manipulator portable, one simple solution is to mount the ground-facing column of the manipulator to a big slab of steel to act as a counter-weight to the manipulator and overall load. If you then attach fork pockets to the slab of steel, your unit will become portable through the use of a fork lift. An image of what this looks like is below. You can see the fork pockets at the bottom of the machine through which a fork lift can pick up the manipulator and move it throughout the facility. Another method of moving the manipulator involves installing the machine on an elevated steel platform. This type of platform will allow you to use a pallet truck to move the device. An image of this set up is below. Another option to make your lifting equipment portable is to install a trolley system. If you mount the overhead column to a trolley and a track system, the new overhead unit will be able to move along the track. The photo below is of a trolley mounted within the track system. The manipulator flange would mount where that center hole is on the trolley. An overhead track system works nicely when you are using one or two manipulators along a production line where you need to move a part in and out of production as it advances along the line. A final option is to install a floor track system, but we don’t especially recommend this method. To accomplish this, you either have to trench the floor or install a track which runs throughout your facility. Unfortunately, this track can take up a lot of space and lead to tripping hazards, which is why we don’t recommend this method of machine portability. While having a portable manipulator may seem to have some key benefits that make it worth it, failing to take into account the safety of your workers will negate a lot of these potential benefits. 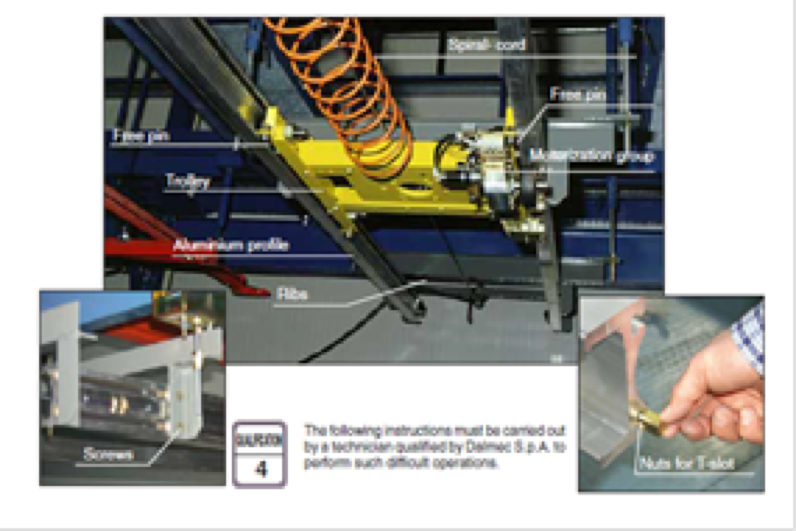 This method is really only worth using if having floor mounted manipulators significantly helps your production line. With all this being said, there are some limitations of portable manipulators that you should consider carefully prior to investing in one of these moveable machines. For one, if you anticipate ever needing to use the machine in two spots simultaneously, portability won’t help you at all. Similarly, if you expect that eventually your facility will require multiple machines, then you’ll likely have some sunk costs on your hands due to the additional work that went into making these manipulators portable, which may no longer be needed once you’ve brought in additional manipulators. When adjusting or commissioning a new portable industrial manipulator, it’s important you consider both your long-term needs and the physical layout of your facility. If you have reason to believe you’ll be investing in multiple industrial manipulators to perform the same function down the road, modifying your current manipulator is likely not worth the effort. If you do see a real benefit to making a manipulator portable, then choose a method which will work best within your facility. Whether it be via a fork lift, trolley or floor track system, you can work with your industrial manipulator manufacturer to determine which is most feasible for your environment. What is an Industrial Manipulator?